Here it is, the ultimate low carb vegetables list! Find all of your favorite veggies along with their carbohydrate information in an easy to search and sort list. The goal is to make this the best low carb vegetables list on the internet, so please give feedback if you think of something to add! We all know that vegetables are an important part of a healthy, balanced diet for a variety of reasons. But shopping for fresh produce while following a ketogenic diet can be incredibly confusing! There are no nutrition labels to guide your choices in the produce aisle, and not all vegetables are created equal in the keto world. So where should you start? Shopping in the produce aisle can be confusing on the keto diet without the right information. 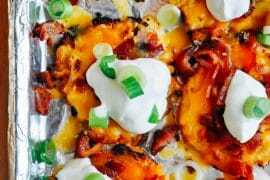 There are vegetables that you can eat without worry on a keto diet and vegetables to avoid completely. If it’s a leaf, you can definitely eat it! Include a variety to maximize nutrients in your diet! Although starchy vegetables are generally to be avoided (starch = higher carb content), you can still enjoy some of them in moderation and small portion sizes. Just be careful and aware! This gets easier as you are further in your diet, so I would recommend newbies avoiding them altogether. What about everything in between? That’s where this list will become extremely helpful. 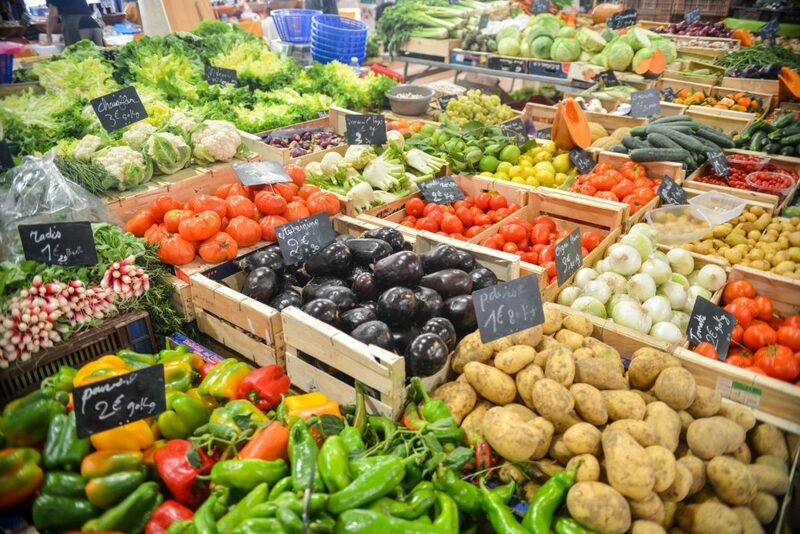 The low carb vegetables list below will help you develop a solid foundation of knowledge to make educated decisions for meal planning and grocery shopping. I hope to help make the produce aisle a lot less confusing for you! The list is organized by lowest net carb count by default, but you can quickly switch the order to your preference by clicking the arrows at the head of the table. All carb counts below are based on a quantity of 100 grams by popular demand. Looking for something specific? Just type it in the search bar above the table! Grab a printable PDF version of the low carb vegetables guide. It's FREE! You will begin to see this list expand over time and become an increasingly valuable resource. Each vegetable will link to a post detailing nutritional information and benefits, photos, culinary recommendations, and recipes! Check back often. 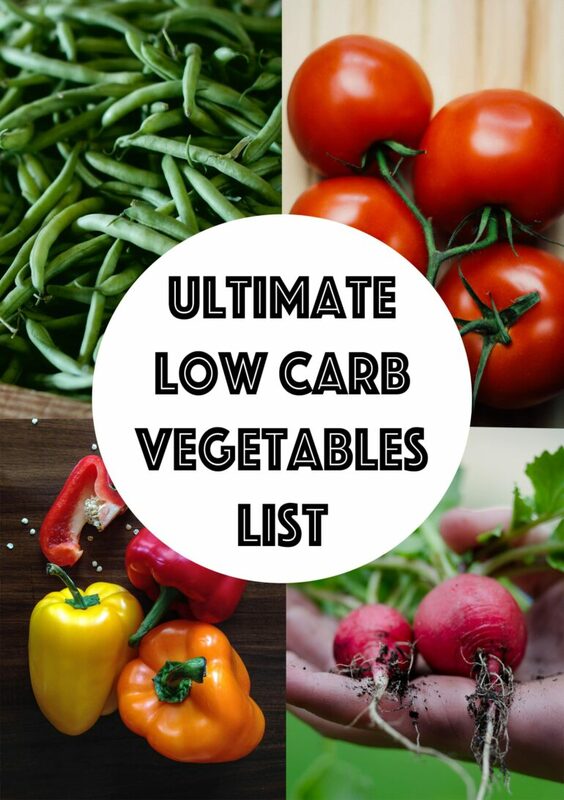 If your favorite veggie is missing from the low carb vegetables list, let me know. I’ll be sure to get it added as soon as possible if it fits with the keto diet! 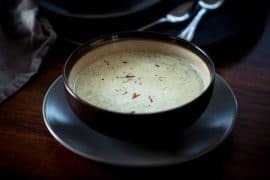 Do you have a great keto recipe that features a low carb vegetable? Send the recipe over, and it may be linked here. Share with your friends! The more people who see the list, the more feedback I will get! 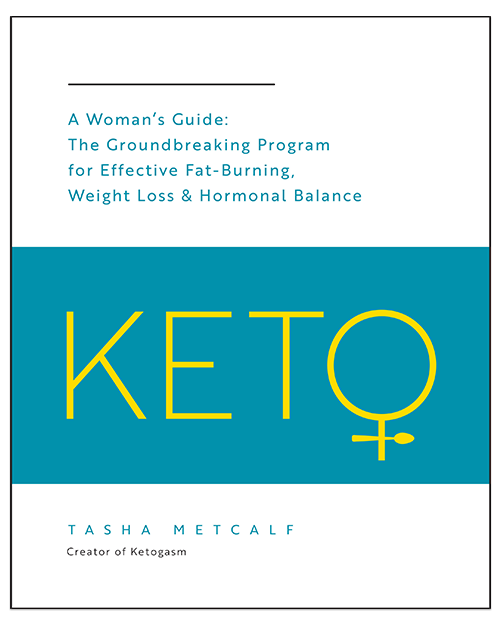 I sincerely hope for this to become a valuable resource for the keto community, so let me know what you would like to see here! The carb counts shown here were gathered from USDA nutrient database and the Google nutrition tool. Looking to learn about carbs in fruit? Head over to our searchable low carb fruits list! We also have a helpful keto foods list to help learn about all of the other foods you can eat on the keto diet! Potatoes and carrots are missing I think. Not that you should eat it on low carb but nice to have the info why listed here. Got them added to the list! Thanks for your feedback! Great idea! I took your suggestion and added those and a few other higher carb veggies for reference. Thanks! How do you work out net carbs? I noticed above are total carbs but i need tto count net only. There is actually a net carb column! If you are looking on a mobile device, you may have to scroll to the right to view the info. Hope that helps! I am offended by your introduction. Are you sexist? You only help women? Why you not help people? Your list is nice but hard to find stuff. You should offer it in alphabetical order. You can sort the list however you like, including alphabetical. There are tabs at the top of each category and a search bar to help you find things. Take it easy KUN all that stress will kick you out of ketosis hahaha. TASHA: great list BTW, just what i needed! definitely gonna be using on a daily basis…since i started eating low carb veggies my keto diet is almost funny, people cant believe i have a high fat diet while my plate is jam packed with veggies hahaha. Beets have been added! Appreciate the feedback. Let me know if there’s any more! Love love this list. Thank you. The only change I could wish for is that these measurements were for 100g instead of 1 cup. Did you stuff your cup full to measure greens? Did you chop everything into tiny pieces and then put it into the measuring cup? Is stuff loosely packed into a cup? Or did you tamp things down so they’d fit? I updated the list to 100 gram quantities. Thanks so much for the feedback, measurement by weight is much more consistent! I agree that it’s more consistent, but I have no idea what 100 g of pretty much anything is (a stalk of celery? half an avocado? ), and no room in my tiny kitchen for a scale. Help! Kohlrabi– love it! Should be on the list. I got it added! I actually haven’t tried it yet – I’m going to get on it ASAP! 🙂 Thanks so much for sharing. This is a great list, thank you so much for making it available. But a couple of questions. What is the difference between “net carbs” and “total carbs”? If I’m looking for the lowest carb count, which one should I follow? Most carb counters subtract the fiber from the total and track “net” carbs, as fiber does not have a significant impact on blood sugar or affect ketosis. The majority of fiber in food is insoluble – no calories or blood sugar spike. I personally track net carbs and try to stay under 20 net carbs per day. There are some folks that track total carbs instead though. That would just incorporate the fiber content in the carb count. Oh no! I can’t believe I missed olives! I’ll get them added ASAP, they are delicious! Thank-you so much for this. I’ve just started keto and this is my go to list now. 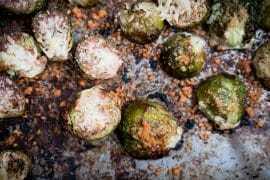 Could you please add different types of sprouts? Such as Sunflower seed, chia, mustard, clover, etc. Also, not sure if info on these is possible to find, but there are three different leafy greens where I live called Chaya, Bele, and Moringa. There is also a plant called Cranberry Hibiscus that has delicious leaves that have a cranberry flavor. If you could find these it would be amazing! I’m so glad you are finding this useful! Thank you for your contribution to the list, I’d be happy to add your requests. I’ll do my best to track down the nutrition information! Yikes! You’re certainly correct. After comparing the nutrition data to several other sources, I confirmed the number for the poblano pepper being reported through the google nutrition data for 100 g so high because it was reporting for dried poblano peppers… not raw! Thank you for pointing out the discrepancy, I would not have investigated any further without the feedback. I’ll update asap! 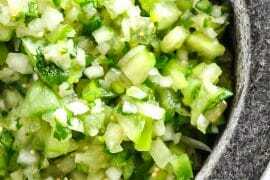 Raw poblano per 100g: 6.4g total carbs, 1.8g fiber, 4.6 net carbs. I tried open the link for low carb list there was a 404 errors. It asked me for a user name. Help! Tasha, can forward it to my email. Thank you so much for this list….I’m just wondering how to measure 100 grams of food? Do you have to have a food scale or would that roughly be 1 cup? I’m so glad you find it helpful! When I first created the list everything was in cups, but quite a few folks asked for weight measurements for consistency and to accurately compare the nutritional values from one veggie to another. A kitchen scale is definitely the way to go for accuracy as a cup will not account for density, how it’s cut, etc. If you don’t have a kitchen scale and aren’t tracking the nitty gritty details of your macros, I would say a cup is a good ballpark for most things. I’m a kitchen scale convert though, I would highly recommend picking one up! Sorrel? Pretty sure it will be quite acceptable. I don’t see cactus on the list. It’s delicious as a cold salad. For breakfast with scrambled eggs or at dinner with pork. Yummers! You’ve done a terrific job; it’s such a relief to find an all-encompassing list so I don’t have to go back and forth searching! Thank you. Do you plan on doing a similar list for fruits? No matter how many sites I look at for “lowest net carb fruit”, the results are always different . . . way different. Berries usually top the list, but then sometimes I see melons or star-fruit . . . .
Hi Tasha, great list so helpful! Here are some veges that I eat that I couldn’t find on your list. Lanka – Jackfruit, both a fruit and a vegetable, delicious with coconut milk. What is the serving size for these numbers? Thank you, thank you, thank you … so much — I can’t say it enough, for this amazing resource! It’s really super helpful. Very useful list! Any chance you might add a column for glycemic index values? That’s a great idea! That would add a ton of value, I’ll have to start researching. Thank you for the suggestion, Robin! I just came across your Keto website…great layout and content! I’ve seen several different lists of low carb foods, but there always seems to be a discrepancy when compared to each other. FYI: your link to the printable list/PDF file is not working correctly. It states a 404 Error. thank you so much for compiling this list. Would it be possible for you to send me the pdf version, in alphabetical order? I tried but got a 404 error on page code. Also, could you tell me where your nutrition values come from? It’s so annoying that googling any food stuff returns different results, for example, 100g of fennel: your net carbs 4.9g, nutritiondata.self.com 4.2g, Google (USDA source) 3.9g, fatsecret app 1.37g. It’s so not helpful!!! These variations apply to most food stuff, not just vegetables. Never mind misleading labels that differ between countries – sometimes you have to subtract the fiber from carbs value, sometimes you don’t. I just wish there were a universal standard and everyone agreed what the nutrition data was. Hi my new best friend. Love the website and I find your voice to be like you were talking to me at a slumber party!. I would like to have the food list, but get a 404 page. Where can I find this list? I can´t send myself the list by putting my email.. it gives an error “page not found”.. is there any other way I can have it? Could you please add beet greens? What about yellow and green plantains? Great list! What would make it better is having listing at the top of the food gram that these numbers are for 100 grams. One should not have to sift through comments to find your answer to the repetitive question. SO HOW ABOUT MAKING THIS QUICK UPDATE. Thanks for your hard work it is greatly appreciated. Thanks for the feedback, however it does say right above the list that is is all in 100 gram quantities within the post. Thanks for doing all this work to create an awesome resource! Super helpful! Thank you! I’m a little confused on the portion sizes. So, I’m trying to keep track of my macros using the Carb Manager app (by the by, if you know of a better app, or could direct me to how you track your macros I would be VERY grateful!) and when I’m searching zucchini on your super-helpful list is the final numbers it gives me for like a whole zucchini? Hi Paige, the numbers are all for 100 grams of the vegetables. All the same weights to allow for similar comparison. Since vegetables come in all shapes and sizes, it’s best to measure them by weight instead of using “1 zucchini” or “1/2 zucchini” as the unit of measure. 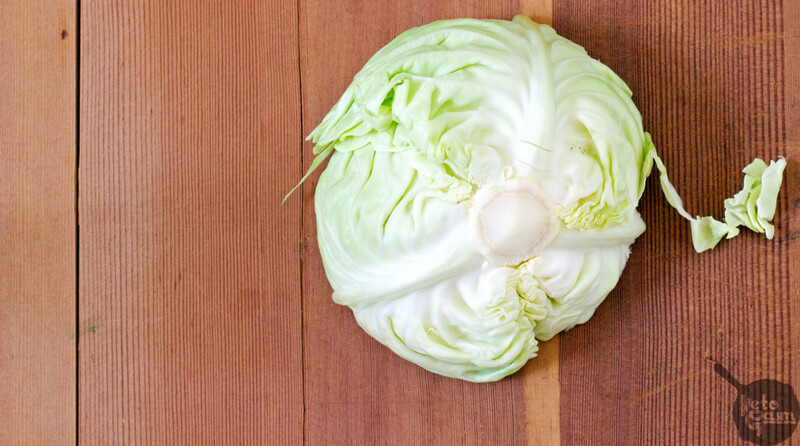 A food scale will be your best friend when it comes to measuring produce. The USDA nutrient database is a good place to look to get different measurement comparisons, and it also provides estimates of the weight of each vegetable (or whatever food item you look up). Hope that helps! Kabocha and Delicata winter squash. They are yummy so I’m sure I’m not the only one eating them. You state in your table above that avocados have i grams of carb per 100 grams of fruit. But your “Don’t be a Fool, Eat Avocados” article states that Avocados have 2 “net” carbs per 100 grams of fruit. I read, on Web MD I think, that the “net carb” composition rating is an unsubstantiated concept contrived by the commercial foods industry to attract the low carb market by overstating the carb reducing impact of fiber content. What is the truth we can rely on to pursue best insulin control results from a Ketogenic diet? Fiber is mostly made up of polysaccharides (complex carbs made up of many sugar units bonded together), but fibers differ from starches as the chemical bonds that join the individual sugar units ultimately can’t be digested by the enzymes in the human GI tract. This prevents the small intestine from absorbing the sugars because they can’t be released from the various fibers. The bonds can’t be broken and the body is unable to use any of the sugars in this form. Insoluble fiber heads on down the GI tract, soluble fiber slows absorption rates of other nutrients by attracting water to the GI tract. When it comes to fiber found in fruits, veggies, or other naturally occurring sources of fiber, it’s not really going to impact your carb count. Non-starchy vegetables can be a great source of micronutrients and dietary fiber; if you are trying to eat a well-formulated ketogenic diet and enjoy your veggies, counting net carbs is an easy way to satisfy those dietary needs. If you aren’t getting micronutrients from vegetables, you’ll need to get that from somewhere else. In the ketogenic community, that’s usually where nose-to-tail eating enters the picture. It’s really a matter of personal preference and context is everything in this situation. It’s true the terminology has been exaggerated/distorted by food manufacturers trying to appeal to low carb dieters. But label claims for “low carb” candy bars and “sugar-free” chocolates fall under a completely different context than fresh produce. Manufacturers also use a variety of sweeteners labeled as sugar alcohols that are deducted from the carb count; some of them are harmless, but others impact blood glucose just like sugar. Maltitol is a particularly bad one. So is maltodextrin. If you are interested in including sweeteners in regards to insulin control on a keto diet, look for ones with the lowest glycemic index: erythritol, monkfruit sweetener, stevia. Thanks! This helps a little. I think e need a bottom line reference. If Ketosis is our aim and we’re faithful to a fresh food diet setting a maximum goal of 20 grams of carb per day, is it more reliable to measure total carbs or can we mostly rely on net carb ratings? It’s tough to give bottom lines because everyone does keto for different reasons. Are you taking a medical approach to keto for therapeutic purposes (Alzheimer’s, seizures, etc) where ketone levels play a critical role in your treatment? Weight loss? An alternative fuel source for athletic performance? People use ketogenic diets for such a wide variety of reasons, it’s challenging to answer your question without knowing more of the big picture. A max goal of 20 carbs per day is not absolutely necessary for ketosis as carbohydrate tolerance varies throughout the population. It’s a good place to start, but you may have a higher threshold. 20g is not a number set in stone for keto and it’s on the lower end of what’s typically recommended for a “total carb” approach. And keep in mind, the people going the 20g “net” approach are likely eating 50-60g total carbs while still maintaining nutritional ketosis. Upper limit for ketosis is around 100g per day (total carbs) for most folks. As for “more reliable”: conservatively, total carbs may be a more decisive way to go. Net carbs vs. total is a topic that’s heavily debated (aren’t they all…), but what it really boils down to is doing what works for you and optimizing your nutrition. 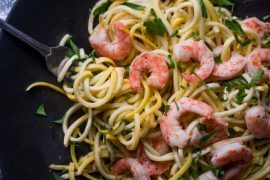 I’m a net carb dieter, but that doesn’t mean you have to be too. Would you be able to add edamame? Hi! What about chick peas/garbanzo beans? Confused as to where that fits in but many sites say it’s Keto friendly. I like your selective responses Tasha. I guess my questions weren’t important enough to warrant a response from you. Don’t worry, however, I’ll be unsubscribing. My less intelligent and less important questions will no longer take up time and space on your website. It looks very good for reading and I so impressed with your guidance. This is more helpful information to me. Thank you for sharing this. I really enjoy your veggies list and its very good stuff. The way you are writing is good to read. Thank you for posting helpful info. Wow great job Tasha! I’m completely new to this and started last week. This will help tons. Hi Tasha. I’m loving this site and shared it with a friend as well. My husband and I love to have radicchio in our eggs in the morning. Would you add it to your veggie list? I am wondering if there is a similar list that displays the average amount of main nutrients per 100 grams. Has anyone seen a list like this? CHIVES, RADICCHIO, RHUBARB, BROCCOLI SPROUTS, OLIVES?, HEARTS OF PALM, SWISS CHARD. Chica, you’ve created a _badass_ resource! Thanks for the time and effort. I’m a fan of grape tomatoes. When you get a spare moment, could you add “Tomatoes, grape”? Is there an app the will track carbs calories ect?